"Two Editors and a Comma"
"Am I punctuating this correctly?" "Do I use quotes or italics when I write internal dialogue?" "How does point of view impact dialogue?" These are just a few of the questions which Betsy Thorpe and Carin Siegfried answered in their recent writing workshop. Match dialogue to the tone of the scene. Practice writing dialogue to convey different meaning and/or circumstances between the speakers. Don't lecture; avoid "info dump". Weave dialogue together with narrative, the characters' actions, and their thoughts. Make sure each character sounds different. Use different words, idioms, and expressions. Create a style guide for each main character. "Said" is the invisible tag. Use it! You can't "laugh" a sentence. In other words, it can't be: "What a silly child you are," she laughed. Dialogue tags in the middle of a sentence makes it choppy. Don't write: "Are you," she asked, "coming with us?" Use an em dash when the speaker is interrupted. Action/description beats should vary within a story and be distinctive. Interior dialogue consists of nonverbal thoughts that a character wouldn't say out loud; self-analysis; or inner conflict. Interior dialogue is honest, reveals backstory, and shows a character's emotional state. It is best used when characters aren't saying what they truly mean. Kate must be looking for clues too! Lillie’s heart beat hard. She forced her voice to stay calm. “Wonder what she’s doing up there?” she asked Frank. 2. Kate must be looking for clues too! Lillie’s heart beat hard. “Wonder what she’s doing up there?” she asked Frank. Lillie tried to make her voice sound casual, almost as if she was barely interested. I would go with option 2, although it really is a close call. I like “casual” instead of “calm” as it implies more. And I like have the description both before and after the line of dialogue, instead of just before. But it’s really your call, depending on exactly the tone you’re looking for. As with more things in writing, there is no right or wrong answer! Which goes to show that word choice is extremely important and that tone in dialogue and beats is something writers must practice, practice, practice! How about you? Do you have any dialogue tips that we all need to hear? As a part of World Book Night, this year I will be giving away copies of The Phantom Tollbooth to students in my tutoring program. I regret not reading this book with my father--a true lover of puns, imagery, and wordplay--but I am glad that I finally savored it myself. For those of you who have never read Norton Juster's classic tale of Milo, the young boy who goes on a quest for something to enliven his boring life and returns enriched and ready for his next adventure, this post is a list of my (some!) favorite quotes. 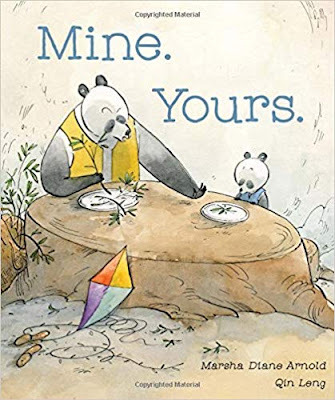 I hope they will entice you to share the book with another reader--old or young--who will enjoy Milo's adventures, Juster's imagination, and Jules Feiffer's illustrations. A small wagon is sent to pick up Milo and Tock. Milo is perplexed. "How are you going to make it move? It doesn't have a--"
"Be very quiet," advised the duke, "for it goes without saying." "Do you know where we are?" asked Milo. "But how do you invent a sound?" Milo inquired. "You jumped, of course," explained Canby. "That's the way most everyone gets here. It's really quite simple: Every time you decide something without having a good reason, you jump to Conclusions whether you like it or not. It's such an easy trip to make that I've been here hundreds of times. "But this is such an unpleasant-looking place," Milo remarked. Milo takes a trip to the land of Infinity. "I should have known it," he mumbled, resting his tired legs and filling his lungs with air. "This is just like the line that goes on forever, and I'll never get there." "... as you've discovered, so many things are possible just as long as you don't know they're impossible." I read the 50th anniversary edition which includes comments and notes from authors and educators who were inspired by The Phantom Tollbooth. If you haven't read it yet, make sure to add this playful yet provocative fantasy to your "to read" list and share its delicacies with another reader. With all respect to the Beatles, I have found that more than love, writers really need PAIN in their lives. As an instructor in the continuing education department at Central Piedmont Community College, this week I participated in their annual Sensoria event. I was joined by two other writing instructors, Jodi Helmer and Edward McKeown, and together we quickly overviewed the writing and publishing industry. 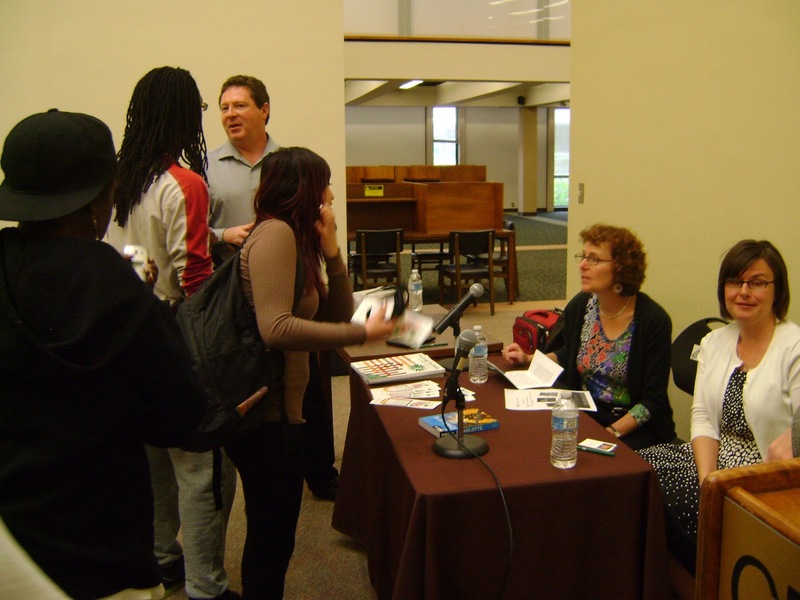 Besides sharing the author who has influenced me the most (CynthiaVoigt) and my writing mentors (Joyce Hostetter and Rebecca Petruck) I also told the student audience they needed to consider the P.A.I.N necessary to get published. A stands for the ability writers need to use all the rules learned in elementary school in order to create a coherent piece of writing. All those boring things like correct grammar, appropriate punctuation, when to indent a paragraph, how to distinguish homonyms, choosing active vs. passive verbs, avoiding adverbs---all of these must be in a writer's toolbox. And if they're not, would-be writers can read books, take a class, or go on-line to gain instruction and acquire writing skills. N is for never giving up. Writers must persevere in spite of critiquers recommending that a piece be re-written for the 15th time; family members mocking their work; editors or agents rejecting the manuscript; and even their own desire to-do-anything-else-in-the-world-besides-sit-in-this-chair-and-write. Are you passionate about the creative writing process? Do you have the ability to write or are you committed to learning and practicing? Do you have ideas that grab you and demand to be written about? Are you willing to put in the time, effort, and energy that is necessary to bring a piece to completion? In a recent webinar, Emma Dryden said, "Pay attention to the journey, not just your goals." And realize that PAIN is part of that process. When Allan Wolf was thirteen, he lost a penny behind the baseboard in his bedroom. He grabbed a pencil and wrote, "Penny lost down here on the night of April 12, 1976 at 2 til 9 PM and 5 seconds by Allan Dean Wolf." In some ways, that was the genesis of Zane's Trace, a poetic coming of age novel that combines elements of historical fiction, free verse, and fantasy. Using a combination of powerful images, prose, real places, events and people, this book documents Zane Guesswind's journey as he wrestles with his painful past which includes his mother's suicide, an abusive grandfather, and his father's desertion. If that wasn't enough baggage for any teenager to carry around, Zane also has epilepsy. A red Sharpie made the men bleed. And I wrote and I wrote and I wrote. The worse Mom got, the more I wrote. with a fat, black marker--king size. This book is a quick read, but not a simple one. It is full of powerful metaphors and layers of images--even as the writing on Zane's walls and his thoughts are layered with meaning. The line, "One straight shot" is repeated over and over again with various meanings and nuances. I would recommend this book for teens, particularly those who are wrestling with suicidal thoughts or have experienced mental illness and suicide in their families. Wolf includes a number of good resources at the end of the book, as well as information on what is historically and geographically accurate. With apologies to Rodgers and Hammerstein and the strains of "These are a Few of my Favorite Things" from The Sound of Music playing in my head, I thought I'd share some of my favorite writing blogs with you. But first, a disclaimer. This list does not include every blog I read. The ones listed here demonstrate excellent writing; they are consistently great sources of writing instruction and advice; and are ones I point my writing students to. For the most part, the authors of these blogs don't promote themselves, their books, or their services. 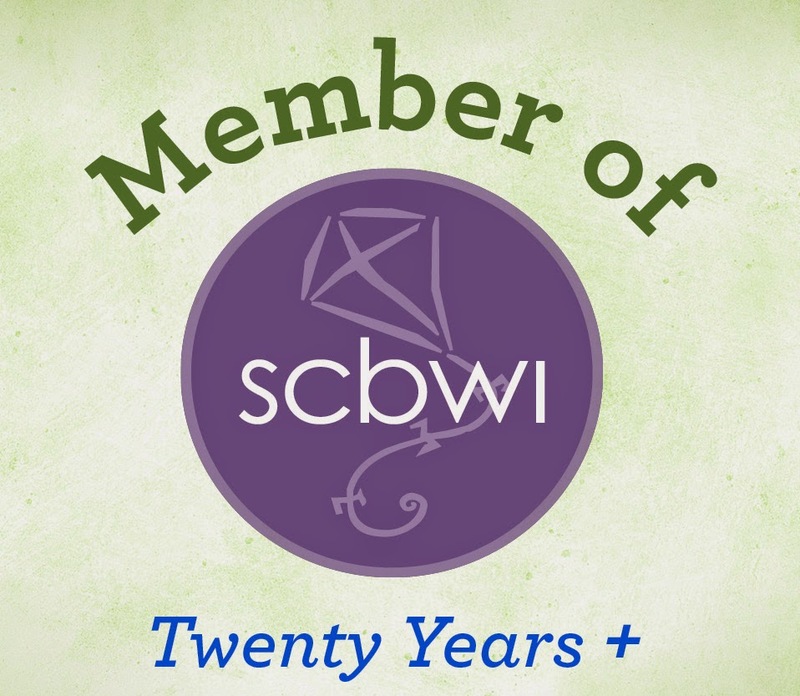 They generously provide their expertise to the writing community- both for those who write for children and young adults, and for those who write for adults. Janice Hardy writes fantasy and science fiction for teens, is a former Writer's Digest writing instructor, and offers tremendous writing advice on The Other Side of The Story. My favorite posts are her Real Life Diagnostics; "a weekly column that studies a snippet of a work in progress for specific issues." Readers send in their work with questions and Janice diagnoses them on the blog. Thus it is part critique and part example. As we all know, one of the best ways of learning to write is figuring out what works, what doesn't, and how to change it. Janice generously offers solution to writer's problems. I am looking forward to finishing this draft of Half-Truths and submitting a snippet myself! Kathy Temean's blog, Writing and Illustrating, was one of the first blogs I started following dedicated to writing and illustrating for children and young adults. Kathy's posts include interviews with agents, authors, and illustrators; publishing news, industry trends, contests, book reviews, and more. Each Saturday she features a different illustrator who shows the process he/she took to create a picture book. These inevitably knock my socks off. I can't draw a decent stick figure and it is a privilege to view the behind-the-scenes work these illustrators put into each drawing. 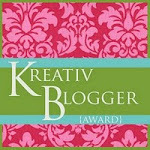 By the way, Kathy is an author, award winning artist/illustrator, and the Regional Advisor for the NJ SCBWI. I wonder how she has time to breathe. I met Lorin Orberweger last year at the Free Expressions Your Best Book Workshop in Charlotte which she coordinated. She is an author, independent book editor, ghost writer, writing instructor, and one of the most encouraging yet "this-is-what-your-manuscript-needs-nail-it-on-the-head-person" I have met in my writing journey. 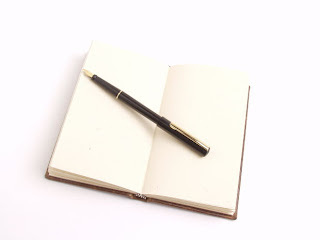 Her Write Line blog includes book reviews, a First Page feedback column, insightful articles about the writing craft, industry information, as well as writing challenges and prompts. Janet Reid, the literary agent better known as the Query Shark, is to queries what Janice Hardy is to book snippets. Janet invites writers to submit their queries which she critiques. Once again, writers can learn from her as to what works and what doesn't. I'm not at the query stage yet, but when I get there, I'll be hunting through her blog to glean from her generous instruction. And after I've spit-polished my query, it'll be in her submission queue. Emma Darwin is the novelist and short story writer behind This Itch of Writing. Each of her blogs are like mini-writing courses. They are meaty, thought-provoking, and include much of what novelists need to know. In this particular post, Emma lists 13 posts that will help writers get published. I go back and re-read her posts when I am stumped with such tricky questions like psychic distance-which I didn't even know existed until I read her blog! Jeannie Campbell's blog, The Character Therapist, brings a unique twist to the writing blogosphere. She is a a licensed marriage and family therapist as well as a freelance writer, author, editor, and book reviewer. Her posts provide writers with psychological insights into characters which they might not have considered. Since writing is all about delving into and showing the complexities of people and relationships, Jeannie's blog is a unique source of information. She recently began a series on character archetypes. Don't miss it. So, here's a thankful round of applause to all of these bloggers who generously feed the rest of the writing world. Now it's your turn. What is your favorite writing blog?